Remember: Go straight and you are free from danger. Actually, the heart attack isn't around the corner, it's straight ahead. Epic fail? I don't think so!!!!!! 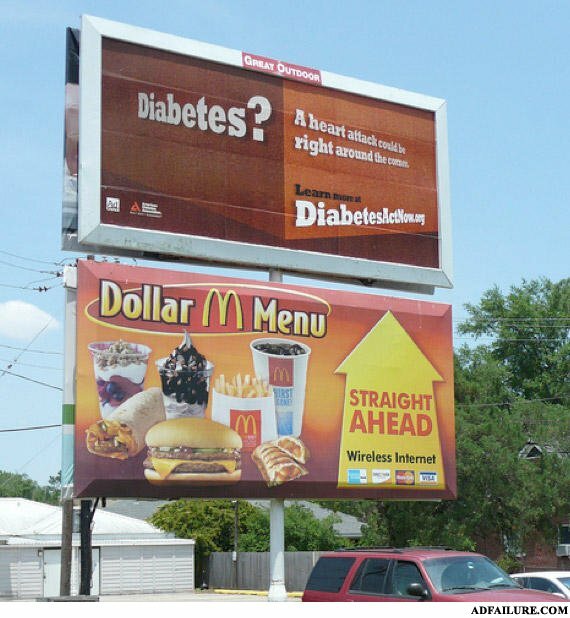 Would you like fries with that diabetes on a bun? Amputated toes and open sores right ahead! This isn't failure, it's pure AD WIN!!! Dog with a top hat and monocle: Yap Yap! *wiggles tail* woof woof!